From the best-selling author of the famous Mrs. Pollifax series comes another delightfully eccentric and sage female sleuth - the exotic Madame Karitska. Although she is a genuine countess, Marina Elena Provovnitchek Gaylord Von Domm Karitska is foremost a psychic. When one of her clients turns up dead, Madame Karitska makes the acquaintance of Detective-Lieutenant Pruden, and an uncanny partnership is born. Madame Karitska forms images with the psychic vibrations she picks up from personal objects. “They’re going to kill me soon,” begins the note Amelia discovers in an antique hurdy-gurdy. From that moment on, the shy young woman finds herself doing all kinds of things she never thought possible. Between newfound intimacies and a risky journey into the past, Amelia comes to see herself in a whole new light. The scrawled note drives Amelia to find out what happened to the person who wrote it, identified only as “Hannah.” Who was Hannah? Was she really murdered? Amelia’s investigation leads her to dizzying new heights of romance and danger. Like a tightrope walker, she must not look down—especially when she finds herself in situations uncannily similar to those Hannah faced just before her murder. 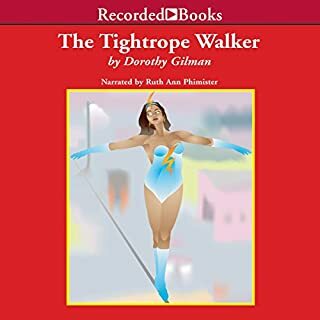 Like the Mrs. Pollifax mysteries for which Dorothy Gilman is famous, The Tightrope Walker features a spirited and unpretentious heroine and an intriguing mystery, enhanced by colorful settings and characters. Ruth Ann Phimister’s skillful narration adds a personal dimension, making you care about Amelia and the fascinating and dangerous people she meets. From the author of the classic mysteries starring the irrepressible CIA spy, Mrs. Pollifax, comes a delightfully different mystery with a most unholy twist. Filled with all the hilarious surprises and good old-fashioned suspense that her fans have come to love, A Nun in the Closet is the story of two high-spirited nuns who accidentally stumble into a dangerous plot involving ghosts, gangsters, and Protestants. Caressa Horvath, raised in the corrupting atmosphere of a traveling carnival, marries an anthropologist named Jacob Bowman, who takes her on a journey to North Africa. Jacob gets himself killed by a band of Bedouin who spare Caressa’s life. The only one of her party left alive, Caressa is forced to join the caravan on a harrowing journey across the African desert. GREAT WRITER - FANTASTIC VOYAGES!!! Mrs. Virgil (Emily) Pollifax of New Brunswick, New Jersey, was a widow with grown children. She was tired of attending her Garden Club meetings. She wanted to do something good for her country. This first in the series sends Emily on her first case after she successfully persuades a skeptical CIA recruitment officer that she is the best person for the job. 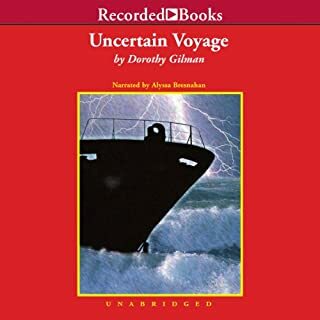 Uncertain Voyage is certain to hold you spellbound with its tale of a timid young American woman who finds herself in situations that would test anyone’s courage. Melissa Aubrey is touring Europe alone as part of her quest to establish her self-reliance. Still recovering from a nervous breakdown brought on by a disastrous marriage, Melissa is fragile, to say the least. When one of her fellow travelers makes an urgent plea that she deliver a small package to an address in Majorca, Melissa is thrown into a dizzying whirlwind of romance, mystery, and danger. After more than 38 years, Father Tim Kavanagh returns to his childhood home of Holly Springs, Mississippi, on a profoundly personal journey. Whatever became of Tommy Noles, his forbidden childhood friend, and Peggy, the loving woman who was like his second mother? What were the facts behind the court trial that drove the Kavanagh family even further apart? Thousands of readers have come home to Mitford, the little town with the big heart, whose endearing and eccentric residents have become like family members. But now change is coming to the hamlet. Father Tim, the Episcopal rector, and his wife Cynthia are pondering retirement; a brash new mayoral candidate is calling for aggressive development; a suspicious realtor with plans for a health spa is eyeing the beloved house on the hill; and, worst of all, the Sweet Stuff Bakery may be closing. Crafted by the creator of the beloved Mrs. Pollifax series, this little gem of a novel sparkles with romance and intrigue. The story whisks you to the enchanting rural abode known as Thale’s Folly, whose occupants are anything but fools. As you get to know these charming people and their magical home, a delicious scent of mystery infuses the fresh country air. Andrew Thale is not exactly thrilled when his overbearing father sends him on an errand to assess the property inherited from an eccentric aunt. Andrew is intrigued though, when he finds the house fully occupied. Its odd and interesting residents have a calming effect on him, especially the beautiful young woman named Tarragon. But his arrival seems to have set a series of mysterious events into motion. Narrator John McDonough’s engaging performance lets you share in the excitement and camaraderie. Like Andrew Thale, you will want to linger in this mellow country haven. I loved and cherished every moment of this book. James McDonough narrated it and it was such a joy listening to him. He is like an old friend as he narrated the Mitford series by Jan Karon. 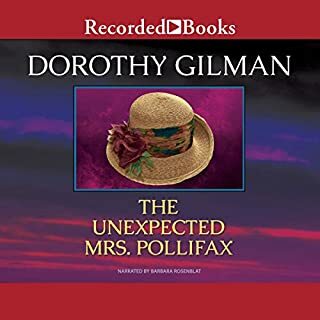 Dorothy Gilman wrote the Mrs. Pollifax series which I also loved and adored. What a gift she has for transporting me to another place and time, to help me experience the story as if I were surrounded by it...I cannot wait to read more of her books, so I do not remain depressed since this book ended too quickly. 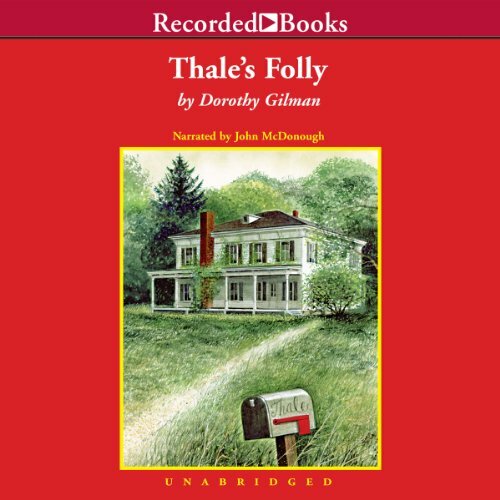 Thales Folly was a joy, and I have bought the paperback book so I can share it with everyone. This book demonstrates the beauty of a simple, innocent life far away from the bustle of "reality" and worldly greed. The life these lovely people built, living off the land, and being in touch with nature, and their inherent knowledge that each person comes into your life on purpose, to help you fulfill your purpose and theirs, nothing happens accidentally, and your future cannot be what it will, without your past...all simple lessons, and ones we should be reminded of often. This is not a violent or graphic novel. The plot and characters are interesting. Mr. McDonough's narration is wonderful. Overall, a nice, light listen with engaging characters and great narration. If you like the feeling of curling up in front of a fire with a good book, then this is that sort of book. It is a charming mystery with little twists. It inspired me to make evening tea with fresh thyme I was growing in a pot on my porch; and I will never smell thyme again without remembering this story. 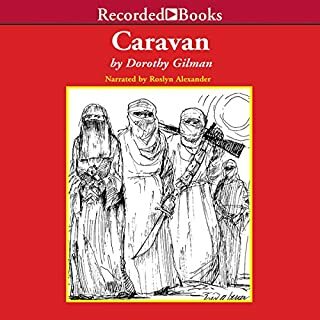 This is one of the best books I've listened to by Dorothy Gilman. 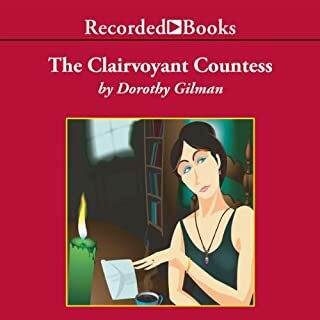 I've been a fan of the Mrs. Pollifax series (read by Barbara Rosenblat) for the last year and decided to listen to others by Ms. Gilman. However, my enjoyment was greatly enhanced by the reading style of John McDonough! I was drawn quickly into the story and my attention was held captive until the end. What about John McDonough’s performance did you like? I like his voice, he doesn't try to change for each character, but still reads so each person is distinct. No, but I looked forward to the times when I was able to listen. Love the narrator's voice. There are lots of interesting characters and there is a happy ending. It started a little slow, but you should give the story time to develop. It's worth it. A sweet relaxing character driven book. Quite an antidote to modern life. Once I adjusted to the narrator's style it, too, was relaxing. 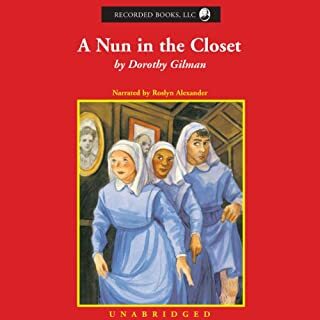 My favorite Dorothy Gilman book! This book is an old friend I’ve read many times and listened to many times. The narration is good and does the book justice. Charming story - wonderful narrator! John McDonough does his usual excellent job of bringing the story to life. I am very glad to have this lovely story in my library and look forward to hearing it again and again.